Parking: Free street parking and adjoining parking lot. 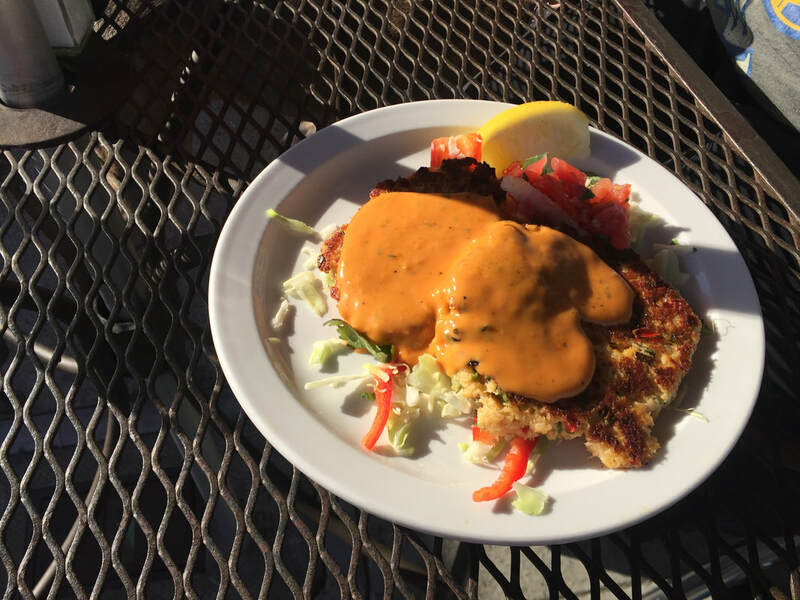 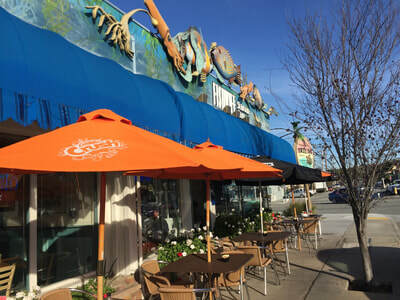 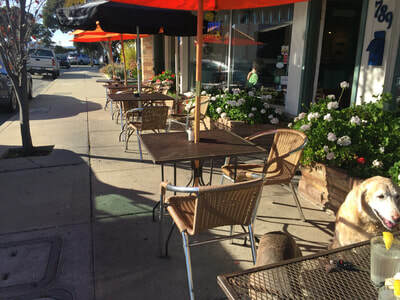 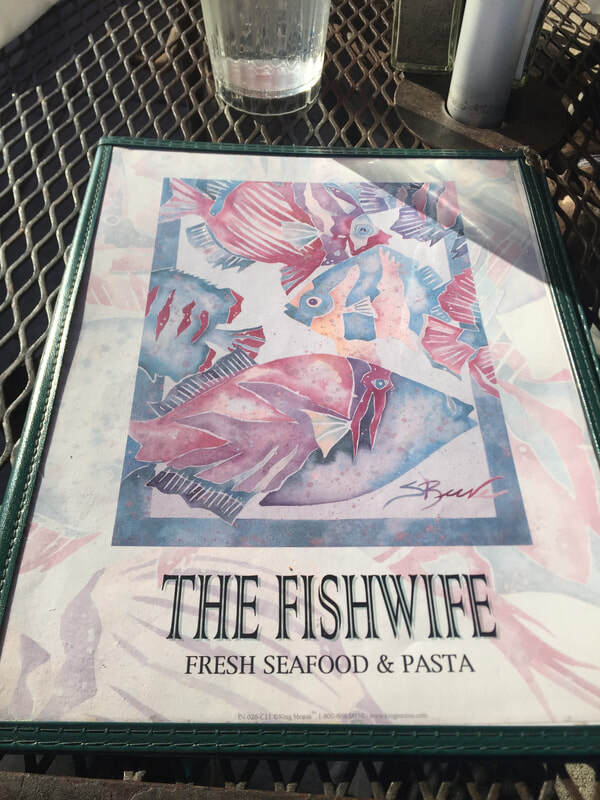 Description: ​This is a great little dog-friendly restaurant very close to downtown Monterey, but minus the chaos and high prices. The food was great, staff was friendly, and there was abundant free parking. 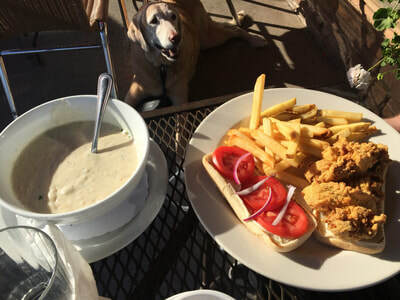 The clam chowder was just as good as I have ever had, even in SF, and a large bowl to share was a great deal at only $1.70 more than a small cup. I also tried the crab cakes, which were beautifully presented and very flavorful. 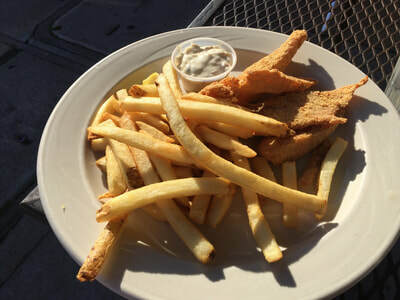 The Tilapia fish and chips were tender and cooked perfectly, as were the fries. 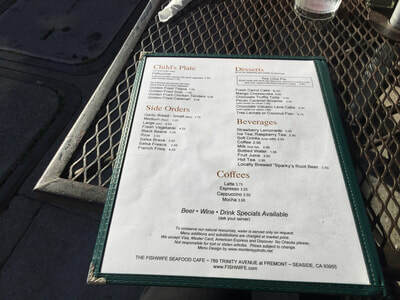 The Oyster Poor Boy was also delicious. 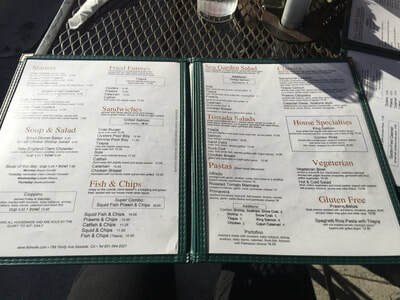 We enjoyed sitting in the sun with our dogs under an umbrella and had a lovely, peaceful weekend lunch. There are 5 tables with umbrellas outside, and we were the only ones sitting outside on a Saturday afternoon.